If you haven’t heard of the Lakes by YOO, first off shame on you! Secondly, you are missing out! But don’t worry you can catch up and find out all you need to know about these very exclusive homes in the Cotswolds here on our Lakes by Yoo page. Due to the huge success of the Lakes by YOO another development was created just down the road called Lower Mill Estate (click the link if you wish to know more about this exclusive estate too!). Some of these luxurious properties are available to rent for holidays, weekend breaks or just a change of scenery. This is where to come to Lagoon Lodge one of these stunning properties which you can hire. Built right on the lakes edge you don’t need to walk far for your morning swim around the ‘block’. Sleeping 10 people it is ideal for a couple of families to enjoy or host a special party for the weekend. There is talk that there are Dolphins in the lake, but we can not back this up. Specialness: It's on a lake! 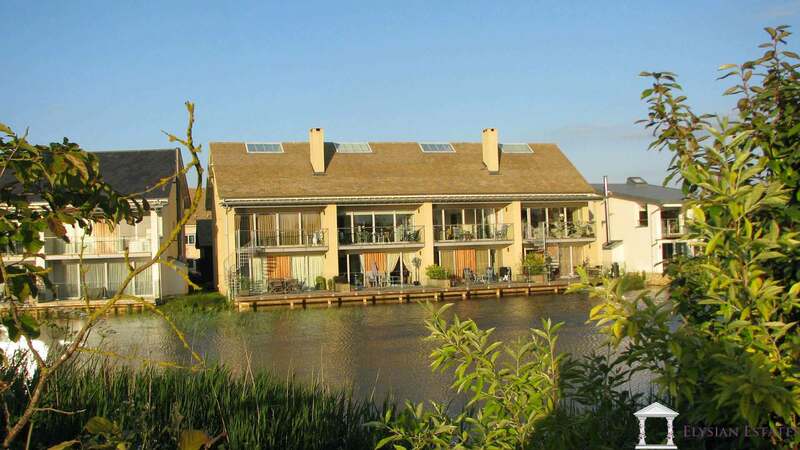 Lagoon Lodge is located in Clearwater Village on the exclusive Lower Mill Estate, a stunning 500 acre estate nestled in the Cotswolds. 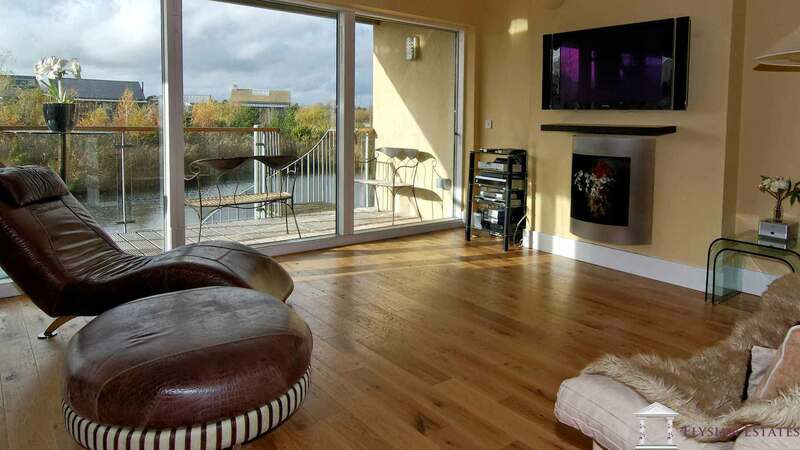 The setting is truly idyllic, surrounded by an unspoilt nature reserve and offering spectacular lakes views thanks to floor to ceiling picture windows and a large private terrace and balcony. The Lower Mill Estate embraces the old fashioned values of village life, offering a sanctuary of calm and beauty, coupled with a sustainable way of living. The emphasis is on natural luxury, with beautifully appointed homes blending seamlessly with the environment to create a sense of harmony, where world class architecture and ecology combine. 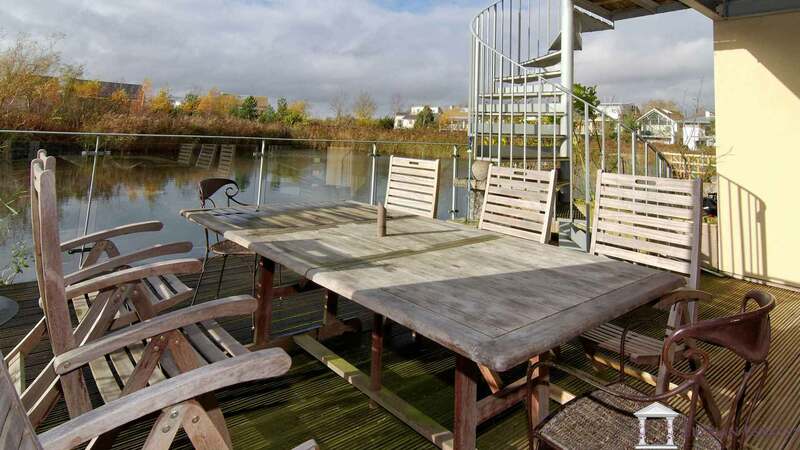 There are 500 acres of grounds to explore in the safety and security of this private gated community, including woodland and meadows perfect for cycle rides or gentle walks exploring the flora and fauna such as otters, kingfishers, roe deer, barn owls, beavers and nightingales. For the more adventurous, canoeing, kayaking, sailing and swimming are available on the eight lakes and two rivers located within this private Estate, and even in the height of summer crowds are unheard of here.